This beautiful marble-topped satinwood side table, known as a gueridon, is notable for its three finely crafted ormolu legs in the form of swans. 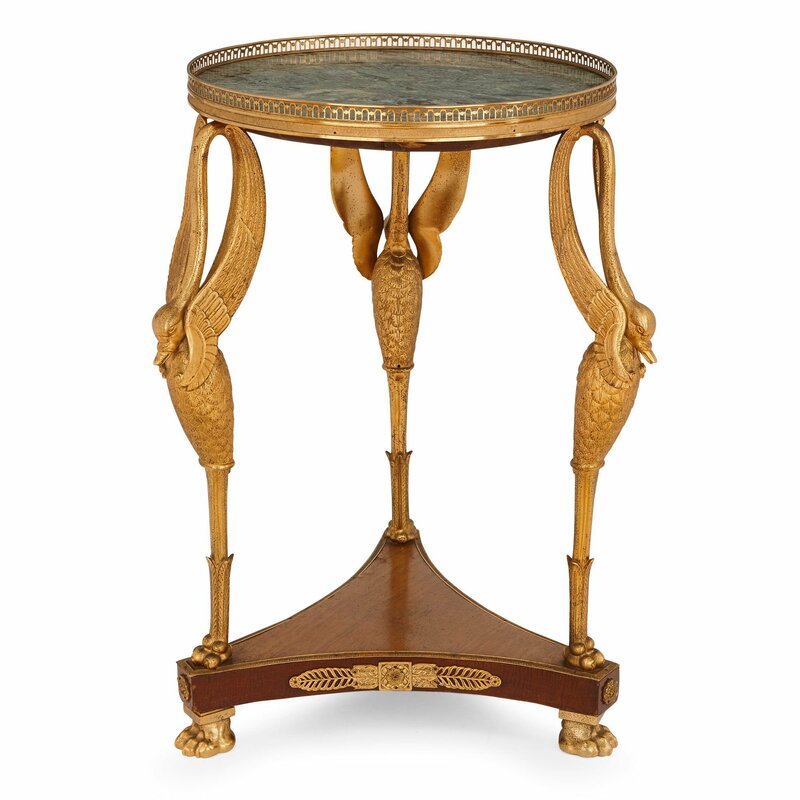 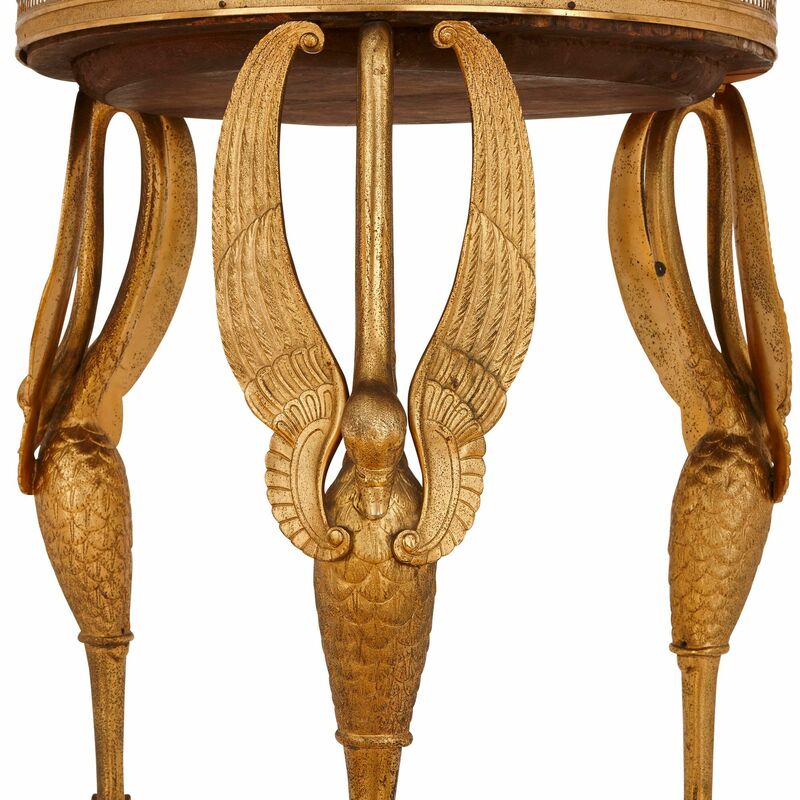 The gueridon was designed in the 19th century French Empire style. 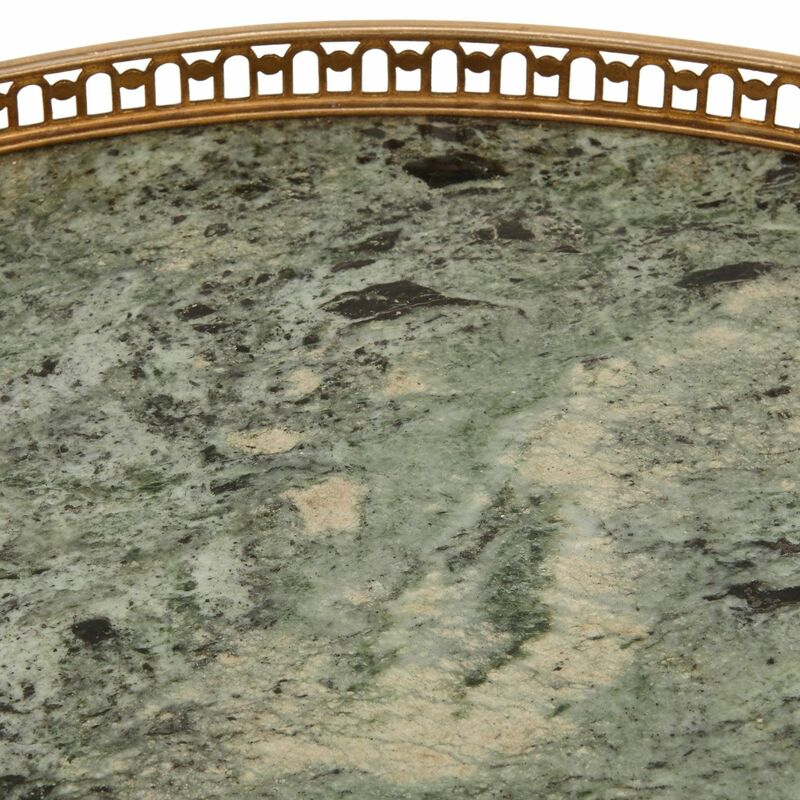 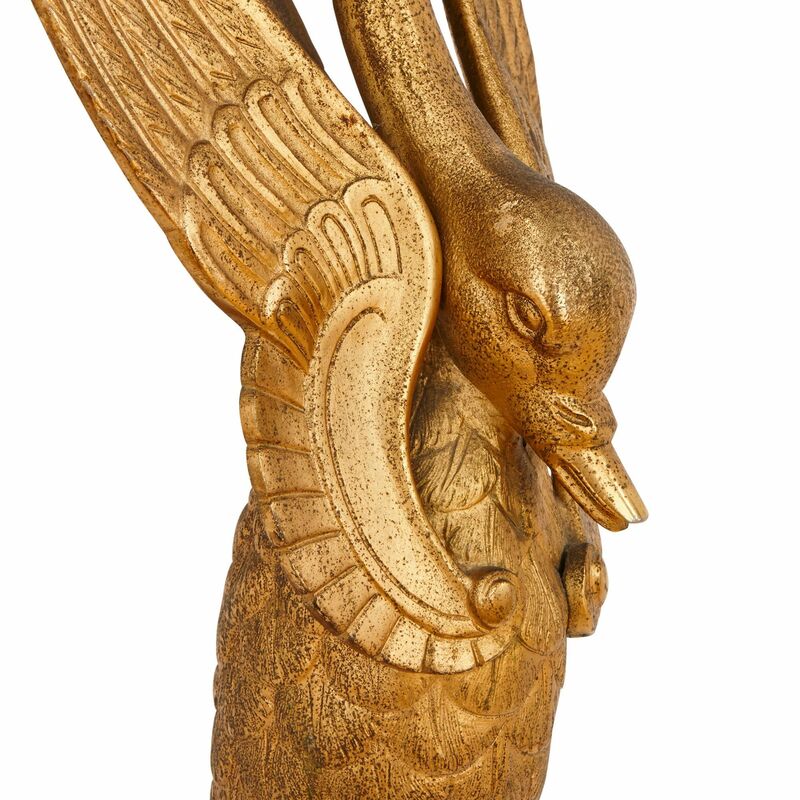 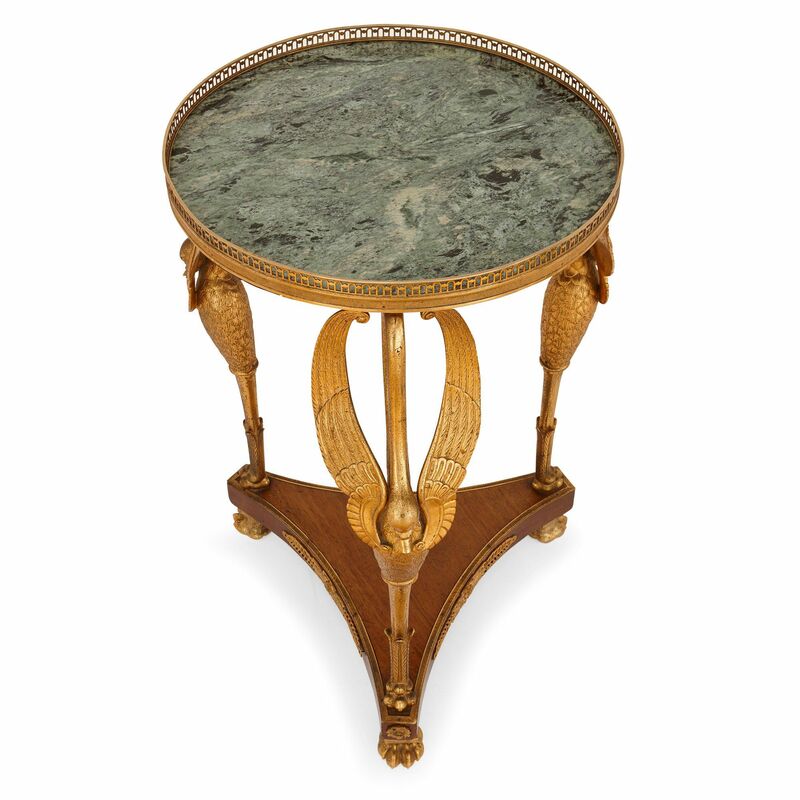 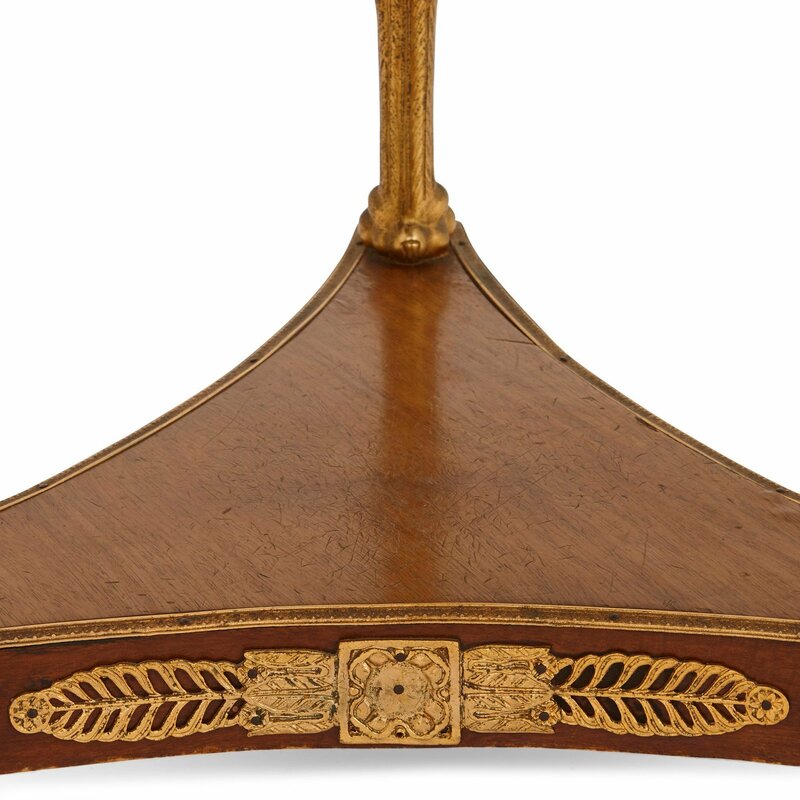 It has a circular veined green marble top with three swan form ormolu legs, which are joined together by a tri-form satinwood stretcher, all set on three ormolu paw feet.